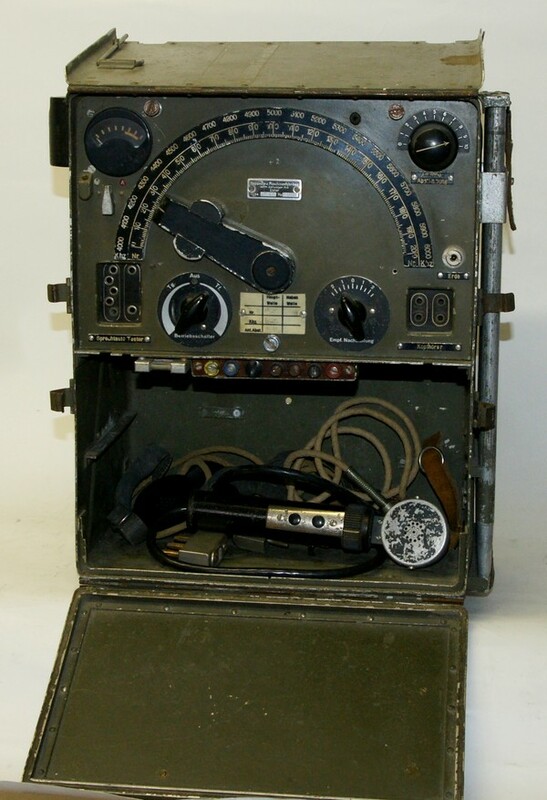 The K set constructed by Zellweger, Uster, has been introduced as standard short distance communications set for the artillery; a similar set with different frequency coverage is the K 1 A set. The K 1 set (Artillery set) consists of a transceiver case with a battery compartment (weight 20,5 kg) and a spares case (another 20 kg) with spare tubes and batteries. The transceiver has to be powered from a 6V heaters / LT battery and two 60V anode / HT batteries, another two batteries of each type stored in the spares case will give an operation autonomy of around 80 hours. The operation of the transceiver is uncomplicated: The huge frequency dial pointer also acts as tuning knob, it does directly operate the main tuning capacitor of the transmitter and receiver sections. Press the two pushbuttons at both sides of the dial pointer to move it, it will lock in 10 kHz steps mechanically. 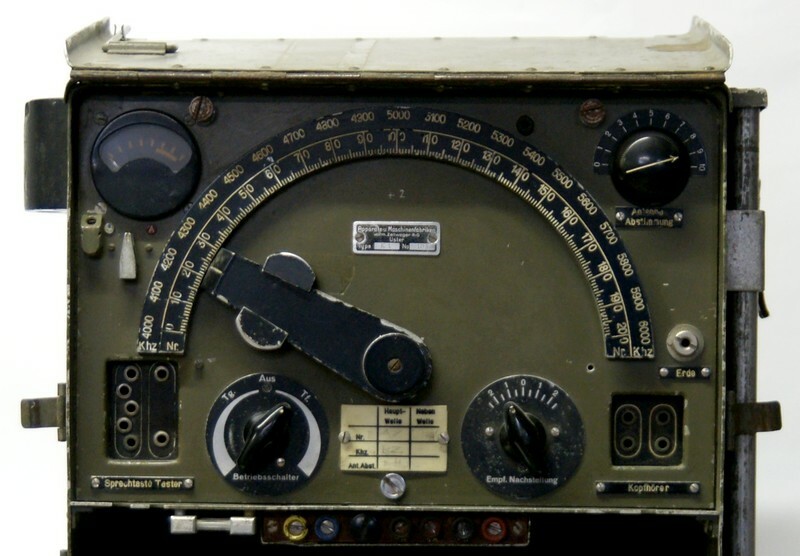 A rotary control "Empfangsnachstellung" permits to shift the receiver's operation frequency +/- 20 kHz. As found in other Zellweger sets, the main switch has it's zero / off position in the middle, turn it to the left for telegraphy mode and to the right for telephony mode, the control also acts as volume control. A ring switch at the microphone / headphones combination activates the transceiver. Use the antenna tuning control to adjust for a maximum reading on the antenna current instrument when the transmit switch is activated; the meter can also be switched to indicate the heaters (blue/yellow) and anode / B+ voltages (red/black), too. The accessories can be stored in a compartment just below the transceiver chassis: the LT and the two HT batteries, the headphones, the hand mike and the throat microphone. The set's operation range is 5 km in telephony and 10 km in telegraphy mode under standard conditions and up to 20 or 40 km from a optimum location on top of a hill.